When Canada’s telecom watchdog determined that broadband internet should be treated as a basic service, the Canadian Radio-television and Telecommunications Commission (CRTC) said that Canadians should expect minimum download speeds of 50Mbps and minimum upload speeds of 10Mbps. However, the Commission’s September 27th, 2018 broadband fund development document has amended these figures, stating that project proposals must meet a minimum download speed requirement of 25Mbps and a minimum upload speed requirement of 5Mbps. “Accordingly, the Commission considers that a minimum speed eligibility criterion of 25 Mbps download and 5 Mbps upload would be meaningful and a significant first step towards meeting the universal service objective,” reads an excerpt from the CRTC’s September 27th decision. The CRTC’s 2017 Communications Monitoring Report revealed that 53.9 percent of Canadians subscribed to plans that offer 25Mbps. The Commission partly used this report to justify the change to the minimum eligibility criteria. Important to note is that the Commission’s September 27th decision stated that the 25Mbps/5Mbps figures are the minimum requirements for any project to be considered for funding. “The Commission will evaluate the scalability of each proposed fixed broadband Internet access service project in the assessment stage,” reads an excerpt from the September 27th decision. The CRTC’s amendments to the internet-as-a-basic-service minimum speed requirements have upset digital rights advocates, like OpenMedia. 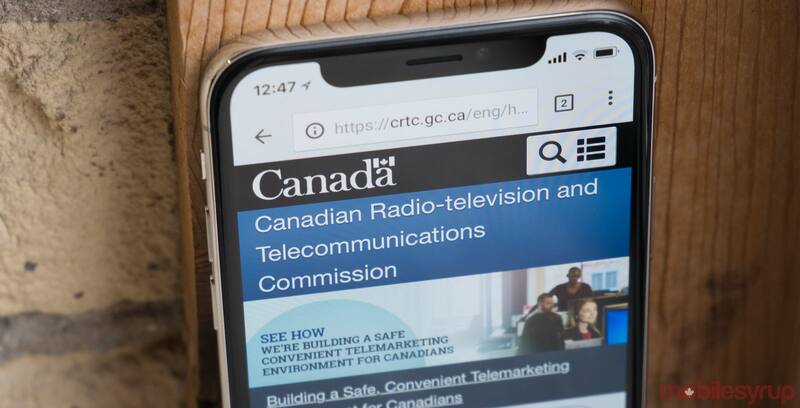 “Internet users and business owners are going to be furious when they realize the CRTC lowered their own speed targets for funding in half,” said Tribe, in the same media release. Tribe added that either innovation minister Navdeep Bains or Prime Minister Justin Trudeau should send back the CRTC’s decision for revision. The CRTC won’t formally begin accepting, evaluating or selecting projects until 2019. The Commission used its September 27th, 2018 decision to add that additional application details will be released at a later date.